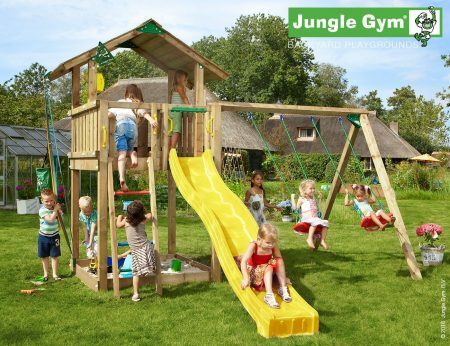 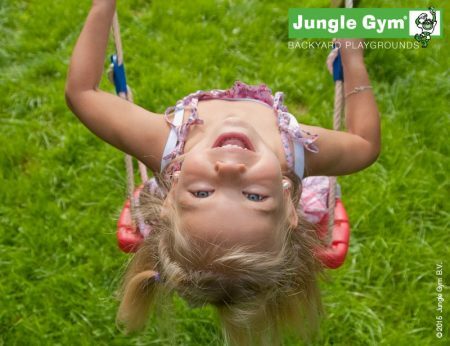 This playground is one of our most popular setups, ideal for the little adventurer who loves to climb. 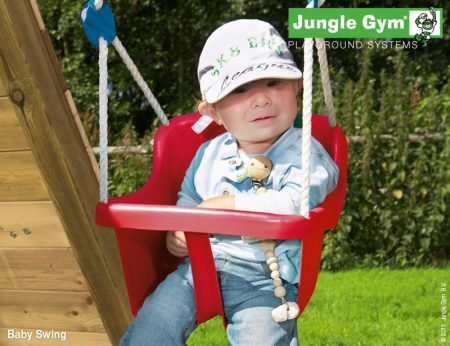 A safe, supportive and brightly coloured baby swing to make your swing set suitable for the tiniest playground visitors. 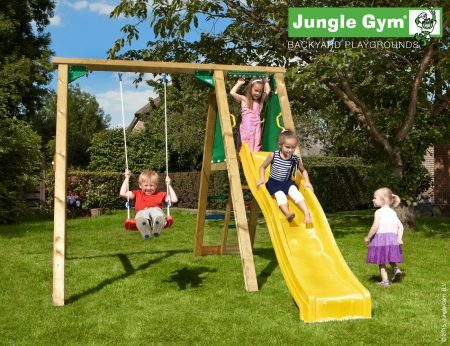 This swing and slide set provides an excellent panoramic view, with a ladder and slide combination for peak playtime fun. 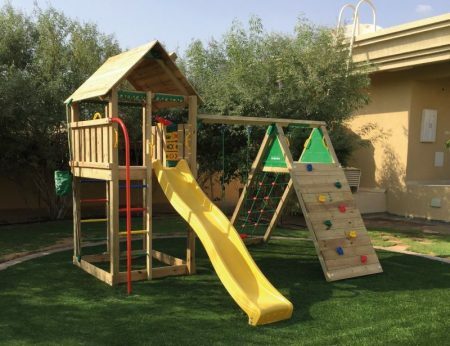 With its sandbox, slide, swing and climb elements this Tower & Climb Extra is everything your little adventurer needs in a compact package. 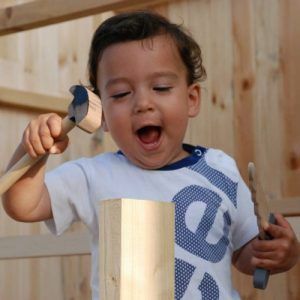 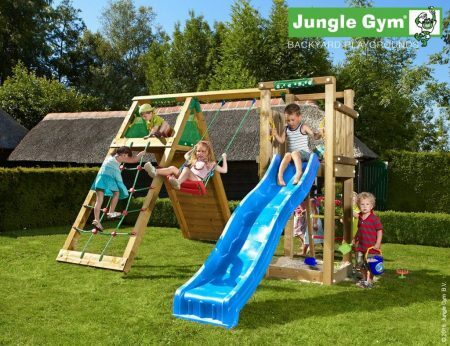 Climbing, sliding and swinging; it all comes together in this entertaining playset.